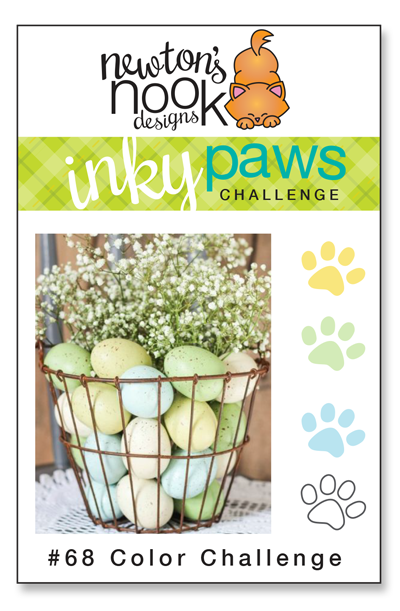 You have TWO WEEKS to play along - Deadline to enter is Friday, March 30, 2018 at Midnight CST. The winners will be announced on the NND blog the following Monday. Andrea Shell's soft pastel heart background created with Tumbling Hearts stencil looks delightful behind her sweet bunny from Bitty Bunnies stamp set. Love her little hill with the fresh spring flowers and yellow edging! Debbie Owens creates a background using Distress Inks and a fun die. 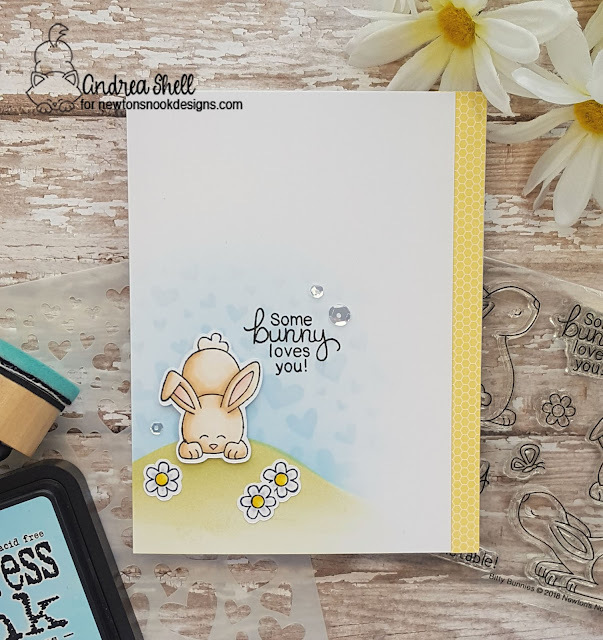 She then colors that cute bunny bum from Bunny Hop stamp set and heat embosses the sentiment on vellum. Such a fun, sweet card for Easter! 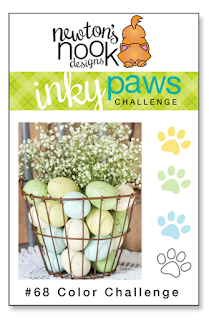 Diane Morales designs these little Easter baskets with some yummy Easter candy. She uses the Sending Hugs stamp and die set and the Hello Spring stamp set. Such a creative and cute idea! 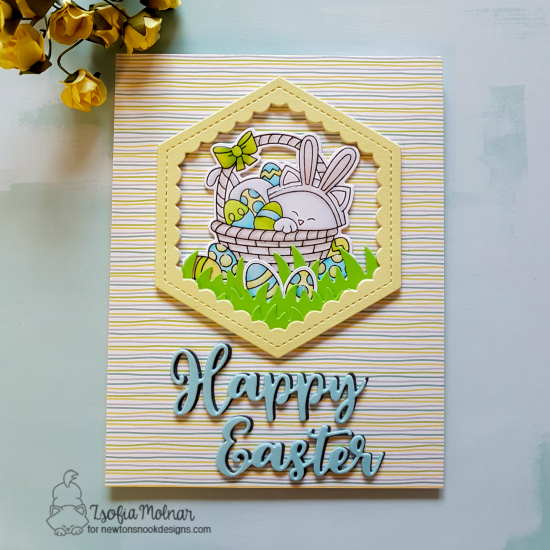 Zsofia Molnar creates this spectacular Easter card using Newton's Easter Basket stamp and die set. 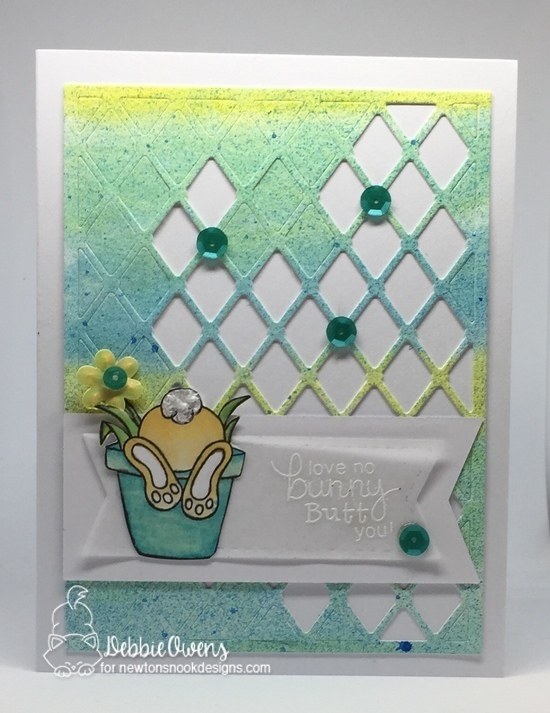 I love the hexagonal frame with all the eggs hidden in the grass as well as her striped background paper! Super cute!